Any person who holds a current practising certificate under the Health Practitioners Competence Assurance Act (2003) and its amendments. Any person who holds a current practicing certificate under the Health Practitioners Competence Assurance Act (2003) and its amendments and works 24 or fewer hours per week. Any person who is not a dietitian but who holds the qualification of a Dietetic Assistant. 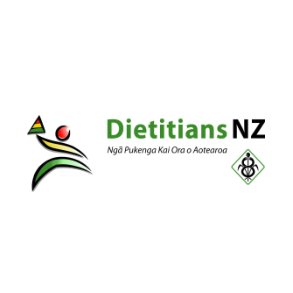 Any person enrolled in a course accredited by the NZ Dietitians Board to prepare for registration as a dietitian in NZ. This product also includes access to the Clinical E-Book. If you only wish to purchase the student membership, please click on the membership product (Earlybird Membership, Annual Membership, or Half Year Membership) and choose 'Student' from the dropdown box. Any member who has retired permanently from professional employment. Any Masters Dietetic Student who has completed their Master of Dietetic studies in the previous year (Note: this is a temporary trial for two years - 2017 & 2018 subscription years). A random User ID has been generated for you. If you are an existing member please log in to your account to renew your membership. If you are an existing member and you do not have an account please contact DNZ once you have completed this membership process. Do you wish to appear on the 'Find a Dietitian' on the public facing website?